We’ve been designing, supplying and installing commercial and residential landscaping for nearly 50 years. Discover unique landscape ideas and designs for Racine County, Kenosha County, the Milwaukee area, Northern Illinois, or Waukesha County with our team. With professionally grown and installed landscaping your home or business will not only become more beautiful but increase in value. Visit us! 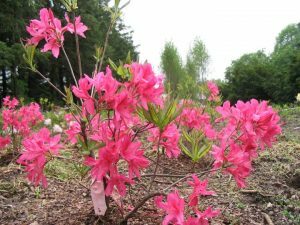 You can browse our back-to-nature nursery and garden center and see first-hand how we grow our landscaping stock. Nursery and garden center will reopen in spring. Contact us any time to get your spring project scheduled. Call 262 835-1000 to get your own unique landscape design using plants from right here in Southeast Wisconsin. Or contact us here by email. When you visit our store and grounds, you’ll find out why there’s a touch of Eder in everything we do. We take pride in the fact that we personally design and select all the plants for your landscaping and gardens. Our specialty is choosing plants that will make your home or commercial landscape look professional now and years into the future. We personally create each and every landscape design to the unique attributes of your yard. Our friendly and experienced staff will guide you through every step in choosing the right plants and landscaping products to fit your needs. Create a backyard oasis by letting us provide you with a comfortable outdoor living area by designing a unique patio, garden, fire pit, or brick pathway! We also specialize in laying brick pavers for outdoor pathways, patios, retaining walls, and driveways along with building outdoor kitchens, bars, or spicing up your water features. The Garden of Eder is located 2 miles west of 1-94 on Racine Co. Hwy. K, 20 minutes south of downtown Milwaukee, in the town of Raymond-Franksville, Wisconsin. We are ten minutes south of Milwaukee’s Mitchell Field. It’s an easy, pleasant drive from anywhere in Southeast Wisconsin or Northeast Illinois. We have been a family-owned landscaping business for almost 50 years. And, our tradition of expert landscape design and maintenance continues. 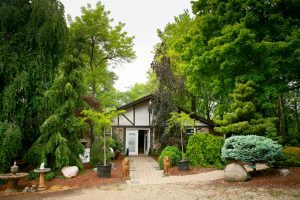 To learn more about the Garden of Eder and why we’re your best choice for home and commercial landscaping, hardscaping and plant care, take a short drive out to our nursery and garden center or give us a call at (262)835-1000.